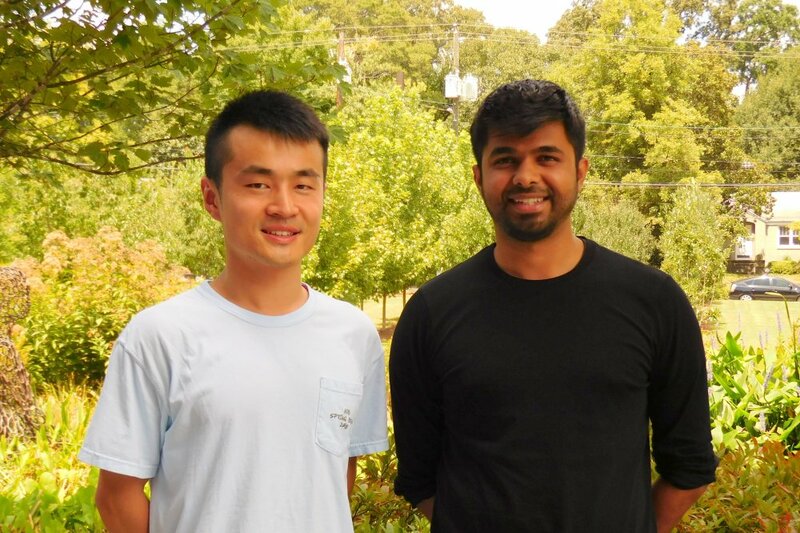 Congratulations to Yuanbo Wang (PhD) and Sarthak Sharma (MS) who were recognized as the 2018 Outstanding Students in Bioinformatics at Georgia Tech! 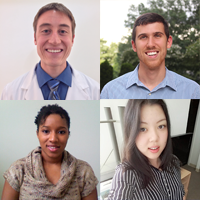 Each student received a monetary award funded by the J. Leland Jackson Endowed Fellowships Fund in Bioinformatics. Both students were selected for demonstrated excellence in their academic studies and their Bioinformatics research. 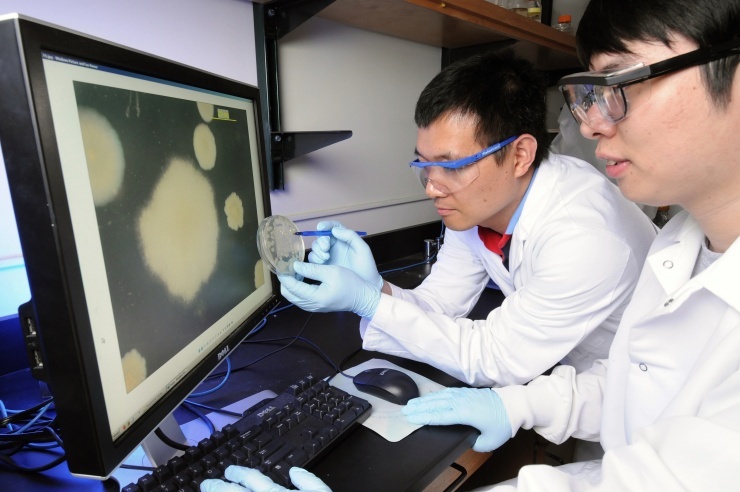 Yuanbo “Cody” Wang has been in the Bioinformatics Doctoral Program for 4 years, working with research advisor Dr. Eva K. Lee in the School of Industrial and Systems Engineering. During this time, Cody has earned a cumulative GPA of 3.94 in a combination of Bioinformatics, Computational Sciences and Engineering, Computer Science, Biomedical Engineering, and Industrial Engineering course work. Sarthak Sharma, our Outstanding MS student, maintained a 4.0 GPA in his first year of study, including five core Bioinformatics classes and three challenging electives such as Data and Visual Analytics. Sarthak works with Dr. Alberto Stolfi, a new Assistant Professor who recently launched his research group at Georgia Tech. Sarthak analyzed single-cell RNAseq data. 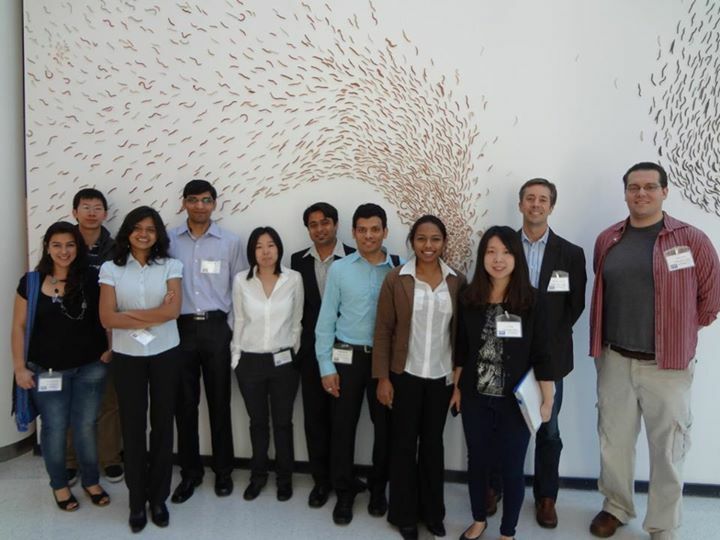 He applied machine learning techniques for clustering and classifying similar populations of single cells based on their gene expression. Using his excellent bioinformatics and programming skills, Sarthak’s work represents “the first use of scRNAseq to characterize the gene expression profiles of neurons in tunicates, our closest living invertebrate relatives.” Sarthak is the lead author on a paper accepted for publication in the prestigious journal, Developmental Biology.